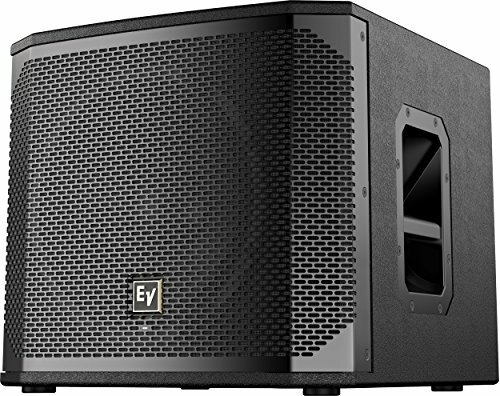 The ELX series is designed to deliver an unprecedented combination of sound quality, portability and durability at its price point. All-new custom components-tested to levels far exceeding the industry norm-make ELX200 a robust workhorse capable of handling real-world abuse and professional applications beyond the capability of competitors’ products in its category. Every aspect of ELX200 is designed for ideal results as part of the whole - the acoustical, electrical and mechanical components all work together seamlessly. The subwoofers pack powerful low-frequency output into a surprisingly compact footprint, and feature tuned 15 mm thick wood enclosures with a premium top-coat finish. The proprietary features that have made the other members of the EV portable speaker family a go-to for best-in-class performance are also present. EV's industry-leading quality and testing procedures yield efficient transducer design and meaningful specs, resulting in components that deliver accurate, linear response at the system’s highest output levels. Translation: loud and clear all the way up to the limit. Unified in one of the strongest full-range composite enclosures ever built by EV. The ELX200 is established as the new benchmark for toughness - both acoustically and physically; maximum efficiency with maximum toughness.